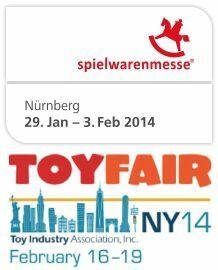 For 2014, I'm previewing games being shown at the Nürnberg and New York toy fairs in a single GeekList. I had created separate GeekLists for these convention previews in 2012 and 2013, but given how international the game market is — with publishers selling around the world and players buying from wherever they need to in order to get games they want — combining these previews makes sense. 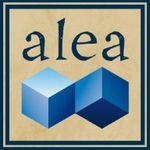 Some background about the two conventions: The 65th Spielwarenmesse – the International Toy Fair in Nürnberg, Germany – takes place January 29 to February 3, 2014, while the 111th annual American International Toy Fair in New York is held Feb. 16-19, 2014. 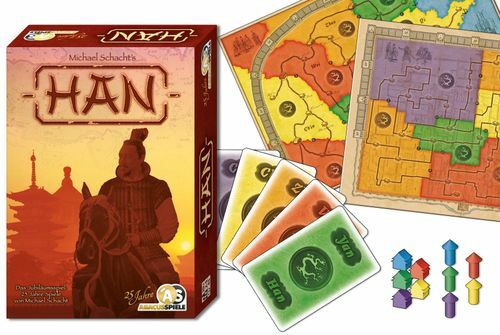 Note that, unlike at the Spiel game convention in October, many games previewed in Nürnberg and New York won't be available for purchase immediately, instead appearing in stores over the next few months. Think of this list as a preview of what you might see appear in stores throughout the first half of 2014 (although some games won't appear until Q3/Q4 2014). I'll be visiting both Nürnberg and New York to record game demos of the titles on display there. Feel free to suggest other games to add to this Preview via email (wericmartin AT gmail.com) or in the comments section! Watchmen receive one point for every patch of woods they can see in a straight line (north, east, south, west) from their tower; other watchtowers block their view, so they can't see woods behind those towers. In more detail, shuffle the ninety cards and deal them equally face-down to all players, who then takes turns drawing one card and playing it on top of a central pot. Should an animal be added to the pile while it's already the top card, players race to strike the table while woofing, baaing or otherwise making the sound of the animal depicted. 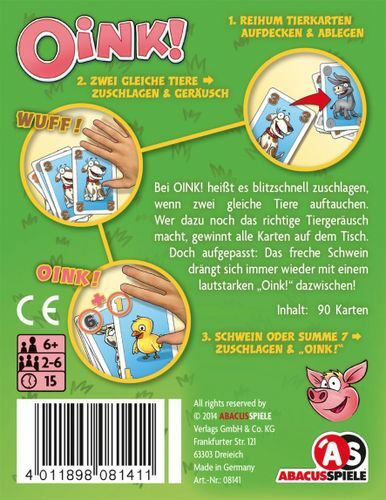 Should the top two cards sum to 7, however, players must strike the table and "Oink!" at the same time. While the numbers on most animals range from 0-6, the pig has special rules, with a 7 on each card; thus, whenever a pig is placed on the pile, everyone must race to slap and oink as quickly as possible! Whenever a player correctly slaps the pile, she places the cards aside in a score pile; if incorrect, she must add a card from her deck to the discard pile (or scratch her head while making monkey noises, as the players prefer). When all players run out of cards — or when at least one player is out and someone has claimed the pile — the game ends. Players then compare the height of their score piles to see who's claimed the most cards and won. Finally, the card in the D slot increases the value of one animal. You (and only you!) immediately score one point per animal of the type you moved up on the scale. If you don't have an animal of that type you don't get any points. Each animal has a points threshold so that if you move an animal up, say, four times, each animal of this type is worth an extra point at the end of the game. The scale goes up to five so that every animal can be worth up five points at the end of the game. When the sum of these values for all five animals equals seven, nine or eleven (based on the number of players), the game ends at the conclusion of the round. Players then tally their final scores to see who wins. Eight dice in two new colors to allow for up to seven players. A purple die for each player that allows you to remove an opponent's or own die when placed (with enough purple dice to have up to eight players). A large die in each color, except purple, that counts as two dice when determining who scores at a casino. Two white dice to play the basic variant with up to 7 players. Rules for playing a solitaire version of the game. Rules for playing a variant of the game. Bills worth $50,000 for each bill of a specific color you collect. One-shot action cards, with each player receiving one such card at the start of each round. Special cards of variable random value. A new, seventh casino; on a turn, a player can place all the dice he rolled of a single number in this casino, but then no more dice of this number can be placed in this casino by any player. Draw one card from the ingredient deck. Take one ice cream order and play ingredients on it. Add one or more ingredient cards to an order already in front of you. When you play ingredients on an order, you must play exactly as many as are on the card and in the order listed, from top to bottom. When you play the final ingredient on an order, place that card aside as you'll score its point value at the end of the game. Banana split orders can't be built upon turn by turn, but must be claimed all in one go, either by playing all four ingredients at the same time or discarding one wild card ingredient. Special ingredient cards let you steal an ice cream order in progress or take an extra turn. Once all the ice cream orders have been fulfilled, players tally their scores to see who wins. Players in Ene mene miste... need to keep a sharp eye on the chalkboards to see — and sum — the items that appear more than once. To start the game, lay out the two starting chalkboard cards, then shuffle the remaining 28 cards face-down and set 14 out of play. Turn the top card face-up and place it near the starting cards. If anyone spots an item — or multiple items — that appears on two or three cards, she yells out the combined sum of all items that appear on two or three cards. For example, if three bananas appear on one card and two on another, yell out "Five! "; if in addition one pear appears on a card and one pear appears on another, yell out "Seven!" Each player can yell out at most one number, and whoever first yells the correct sum claims one of the face-up cards, then replaces it with the top card of the deck. Whoever claims the most cards wins. With younger players, you can lay out only two cards at a time to keep the sums smaller and minimize the calculation; with older players, keep four cards in play, possibly adding more cards to the deck to make the game last longer. GeoCards World includes fifty cards with which players can play three games that challenge their geographical knowledge. Each card is double-sided, with the outline of a country, its name, its population and its size on one side of the card and its capital and the surrounding countries on the other. In all three games, whoever collects the most cards wins. In the first game, shuffle the cards with the capitals face-up, then take turns naming the country depicted on the card. Guess right and you claim the card; otherwise, remove the card from the game. In the second game, deal the cards out evenly among the players with the capitals face-up. On a turn, you hold one of your cards capital side-out toward your left-hand opponent. If he can name one of the countries adjacent to the depicted country, he claims the card; if not, the next opponent in clockwise order can try to do so. Remove the card from the game if no one guesses correctly. In the third game, deal ten cards capital side-up to each player. On a turn, choose two cards and hold them out to your left-hand opponent. If he can guess which country is larger in size or population (depending on what choose at the start of play), he claims both cards; otherwise, remove the card from the game. 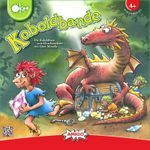 It's a race for the treasure in Koboldbande, with the player kobolds working together to create a path to the treasure before the dragon can get its talons into the chest first. 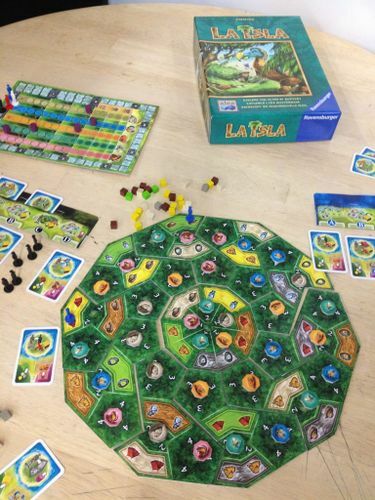 Before the game begins, players seed the 6x8 game board with four keys and a candy tile by rolling two dice — one color, and another symbol — and placing the tiles on the appropriate locations on the game board. Shuffle the 27 path tiles and 10 dragon tiles together. On a turn, a player draws a tile. If it's a dragon tile, she places it on the first empty space on the dragon path; if a path tile, she places it at the end of a path already on the board. (The first path tile is placed in the upper-left square of the game board, while the treasure is below the lower-right square.) If the path is placed on a key, the players claim the key. If the path crosses the candies, the players can place one dragon tile on the candies, delaying the dragon on its way to the treasure. 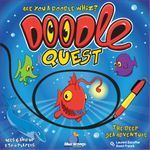 Once the players have collected three keys, they can then lay a tile on the treasure chest — and if they reach the treasure before the dragon does, they win! With a name like Lemminge, you know you're going to be racing little rodents across a finish line of some sort, and this design lives up to that promise. 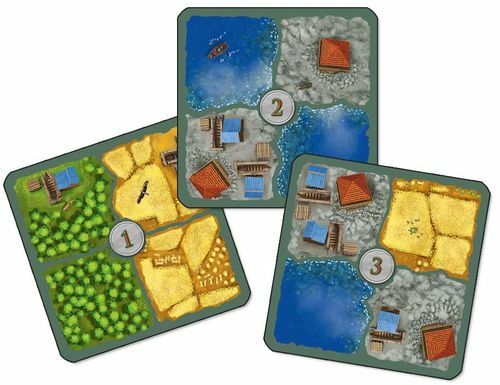 Each player controls two lemmings that must make their way across a game board of hexagonal spaces; most spaces contain grassland and can be entered no matter which card a player lays down, but some spaces contain special terrain (water, hills, etc.) that can be entered only when the appropriate card is played. Plays a card, then moves one of her lemmings. Each card is one of five landscape types and numbered 0-4. If the card played is equal to or lower than the value of the top landscape card of the same type, then the player adds the values of all landscape cards of this type, then moves her lemming up to this many spaces, crossing grassland and the depicted landscape type freely. If the card is higher than the top card of the depicted landscape type, then discard all cards of this type and start a new pile. Before moving her lemming, though, she places a bonus landscape hex of this type on the game board — ideally stifling the future movement of her opponents while scooting her own lemming further toward the goal. If one or more lemmings are in your intended path of movement, you can push them aside before moving into the space, spending one point of movement for each lemming so moved. You can push your own lemming, if you set them up right — even across the finish line. The first player to move both of her lemmings across the finish line wins. SET Junior uses the familiar SET gameplay, but scaled down in difficulty for younger players. In SET, players want to create sets of three cards, with each card in the set having the same feature as each other card in the set or a different feature. For example, all three cards have green symbols on them, but they have 1, 2 and 3 symbols and the symbols are all different shapes (oval, squiggle and diamond). One side of the double-sided game board in SET Junior features three 3x3 squares, with each line in a square forming a set. Players take turns drawing a tile from the stack — with each tile featuring 1-3 symbols in one of three colors and in one of three shapes — and placing that tile on the game board. Each time a player completes a set by placing a tile, she claims a point chip and whoever collects the most chips wins. On the other side of the game board, a dealer lays out up to ten tiles one by one and whenever any player sees a set among the face-up tiles, she shouts "Set!" and claims the tiles that form the set. The dealer then replaces these tiles and the game continues until no more sets can be claimed. Whoever claims the most sets wins. Actionland cards are generally physical or dexterity challenges, such as drawing a picture, stacking the dice before time runs out, or doing 1d20 jumping jacks. Thinkingtown cards are generally memory, logic, or math exercises, such as naming a certain number of items in a category, gaining/losing a point if the product of the numbers of the dice is even or odd, or rolling letter dice to spell a person's name within thirty seconds. Other Information: • Abalone still lives?! Man, I remember selling tons of those in 1991-1993 when I worked at a game store in California. 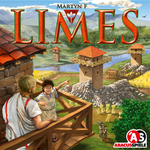 Anyway, Asmodee expects to have this edition out in Q3 2014. 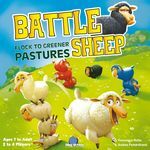 Other Information: • Released in France in November 2013, Asmodee will distribute this title in Germany in Q1/Q2 2014 and in North America at a time still to be determined. Players then take turns drafting cards from three face-up rows; the card on the end of each row costs nothing, the card in the middle costs $1, and the card closest to each of the three decks costs $2. Players start with no money, however, and the only way to get some is to draft it – but naturally that means you'll be forgoing other cards. If a player has train cars matching one of the three face-up objective cards, he can choose to discard those train cars and claim the objective – and since the objectives have the icons that satisfy contracts, you'll probably want to do that. 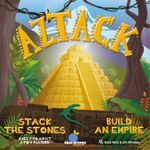 Other Information: • Released in France in late 2013, Asmodee will distribute this game in Germany in Q1/Q2 2014 and in North America at some point after I write this sentence. 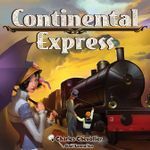 • I've played Continental Express once, and it has a nice feel, being light and tactical with players being able to look ahead at what they hope to draft, while being pulled in multiple directions due to what's available. I muffed my secret goal, and the game ended sooner than I expected, so it was more like Portland-to-Denver Express for me. Maybe next game! Other Information: • A waterproof version of the existing Spot it! game. Now you can play in the bath! Tic Talk, first published as Wordy Word, pits two teams against one another each round, with one team creating words and the other trying to figure out what was created. At the start of a round, one team flips its sand timer, then rolls five colored, twelve-sided letter dice; each color corresponds to a row on a paper tablet, with the red die indicating what the first letter in a word must be, the yellow die indicating the second letter in a separate word must be, and so on. The team members think up words that fit these constraints as quickly as possible, stopping the sand timer once they've finished. 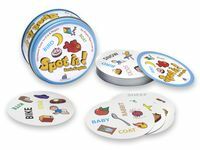 Following this, a member of the other team looks at the word list, starts the same sand timer in reverse — thereby giving him as much time as the team took to write down its words — then tries to get her teammates to guess these five words. Clue-giving is done Taboo-style, and that team scores one point for each word guessed in the time allowed. Other Information: • Normally we don't add listings to the BGG database that include nothing more than a title and publisher, but given that I'll be seeing this item in Nürnberg soon and can then scarf up more details, I'm adding it to the list to keep it on my radar. Beep! 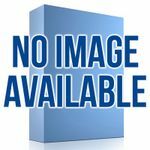 BraveRats, first released as R, is a simple and short simultaneous action selection game for two that's played with cards. Both players have a hand of eight cards, numbered 0 to 7, with each card having a special power. Both players choose a card, then reveal them simultaneously. The highest card wins the round, and players play until someone has won four rounds. The cards' special powers greatly influence the game. A player chooses a tile which doesn't allow her opponent to place a token.